The game of football is changing and today’s landscape is light years different than it was 20 years ago. Gone is the yelling, swearing, polyester-wearing drill sergeant of a coach. 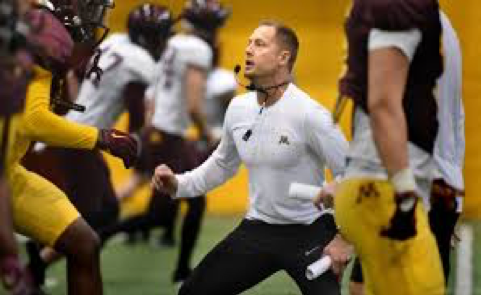 Now, coaches are the young, energetic and magnetic motivators that are just as focused on culture development as they are on X’s and O’s. Football is a dynamic entity. It lives, breaths and develops with the times. The players of today live and learn in a fast-paced digital world. As coaches, it is our jobs to adapt and meet them were they are at. We must take the time to invest and create a program that attracts the 21st century student-athlete. In the next few paragraphs, we are going to look at how to develop a program by design and the importance of connecting the players, staff, parents and community to a common purpose. Coaches spend hours developing the perfect offensive and defensive systems. They give it a fancy name and pride the program on their strategic prowess. There is no doubt that a strong schematic philosophy can win games and championships. However, the question we should be asking is if this methodology provides sustained results for the all the key stakeholders? Can we create a year-round program that is designed to connect our community to our program via experiences? The answer is yes, but it’s going to take time, organization and planning. The ability to create a culture that will sustain and thrive year after year comes down to answering the questions of who, what, why and how. Who are we trying to impact? What is the vision and mission that we are trying to accomplish? Why is this important to our program? How will we build these ideologies into our culture? Just hoping it will happen or throwing up some signs will not build a culture. Culture must be built with intent and detail. 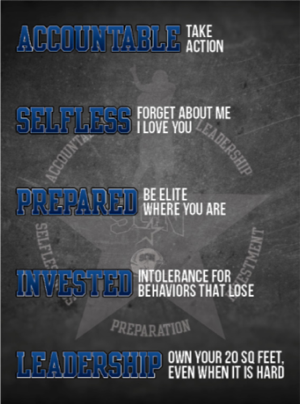 For our North Star football program, we use the following diagram to guide our culture. It is paramount to be clear in the beliefs of the program in both mission and vision. 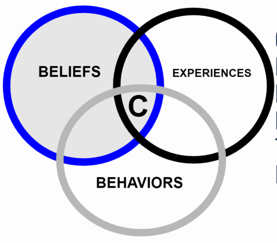 Defining the behaviors that will support your beliefs and having an intolerance for behaviors that detract from your culture is essential to creating clear and measurable expectations. The same can be said when working the paradigm backwards. Program experiences can be designed to support both the behaviors and beliefs that you want to be developed. When creating vision and mission statements, it’s important to think in terms of the telescope and microscope. The vision is the telescope view of your program. It’s is your desired future. The mission would then be considered the microscopic view point. The mission is the day-to-day connection to your purpose. Here is an example of our St. Charles North vision and mission. It’s important to note that our purpose is not driven by wins and losses. The vision is not bloated with big words or catchy jargon. Plain and simple, we want to connect and expand our program through experiences that will last a lifetime. Nowhere will you see “win a state championship” or “score 50 points a game.” The vision must be bigger than the game and it’s the job of the program to prepare our student-athletes for more. 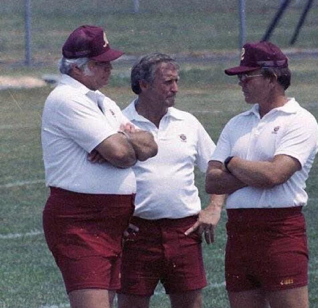 The role of the head coach has evolved over time. Calling the plays and running an efficient practice is not enough. The paradigm has shifted to encompass so much more. If we are trying to create a connected and dynamic program that is experienced-based, the mindset has to shift. It starts with the head coach but not from the top. We lead from the middle as we are the connector. 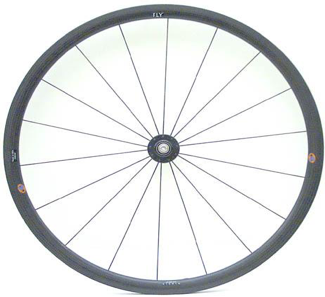 Using a wheel and hub analogy, the coach is the hub of the wheel. 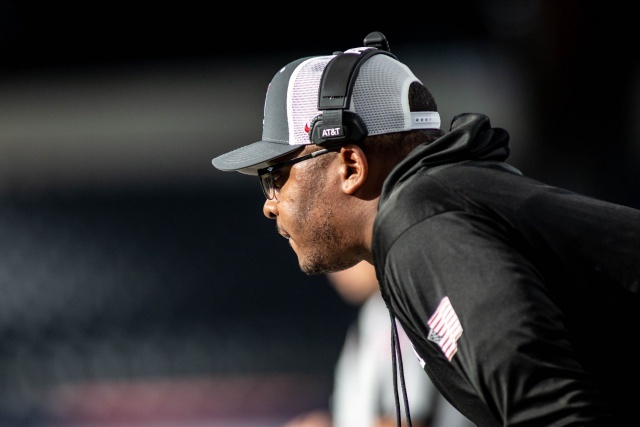 It is the head coach’s job to facilitate, create and connect players, parents and the community to a shared purpose through experiences that support the belief system. The goal is to connect as many spokes of the wheel as possible on any given day. With this short-term focus, the mission can be accomplished daily. Over time with consistent and purposeful effort, the vision becomes clearer for all the stakeholders within the program. Create a culture that drives champion level results with Focus 3 and USA Football. Elite leadership needs a simple system. So does culture and disciplined behavior. The Focus 3 Virtual Training provides you with two programs specifically designed for high school coaches.